Wow! 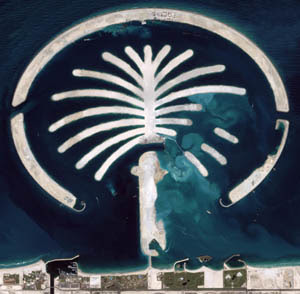 What a nice, hi-res satellite image of The Palm islands as they were being constructed. Click on the picture above to view the exquisite detail of the photo. You can see the individual ships as they spray sand to build up the islands. The man-made islands of Dubai are starting to fill out. Some of the projects are even having people move in already. It will still be years before all the projects will be complete but the one that started it all, The Palm, is near completion. The Palm revitalized this small nation in the Middle East as the government has put billions (if not trillions) of $'s into building up the area. If you would like to catch up on all the construction in Dubai check out the links below. To give you an idea, about 1/4 of all construction cranes are located in Dubai right now. 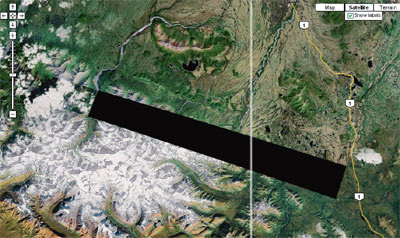 I was playing around with the post below about the black bar in Alaska when I noticed that Google Maps has added their terrain layer. This terrain layer is highly detailed and a rather pleasant addition to the already superior Google Maps. If you zoom out far enough on Yahoo! Maps you'll see a small attempt by them to incorporate a terrain layer. However, once you zoom in it shifts out of that style. 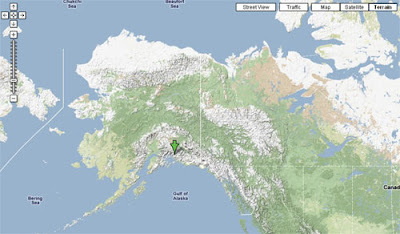 Google Maps has an odd black bar on the Alaska/Canada border that has caught my attention. 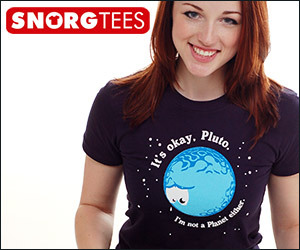 Is it just not mapped? Censured? Electricians tape? Dallas, Detroit, Indianapolis, Fort Worth, Boston, Minneapolis/St. Paul, and Providence have their cities added to the Google Maps Street View. It's only a matter of time before Knoxville, TN, gets added as I found out I wasn't the only one that saw the mapper here. (see:Google Maps Street View Hits Knoxville, Pictures of Chevy Cobalt) All I can say is that they could've left Detroit to the last of the updates. That's one of the ugliest cities in North America. (via NHL.com) Everybody seems to be going green these days and the NHL Players' Association is asking its members to jump on the bandwagon. Canadian Olympic skier Thomas Grandi, who along with wife Sara Renner, an Olympic silver medallist in cross-country skiing, hooked up with Suzuki back in December 2006. Grandi calculated how much extra carbon he produces while traveling with the Canadian ski team and bought $535 worth of clean air credits to make up for it. He also donated half his prize winnings that season to Suzuki's foundation. "There it was obvious because they know meets are being canceled now in Europe because of a lack of snow. They can see the impact," said Suzuki. "The hockey players are a natural it seems to me, but we have to talk about branching out to the other sports." Andrew Ference, then of the Calgary Flames, started by getting seven of his Flames teammates to sign up.